Contact us to host a class! *Law Enforcement *Fire Service *Search & Rescue *Other working or performance dogs and their handlers. 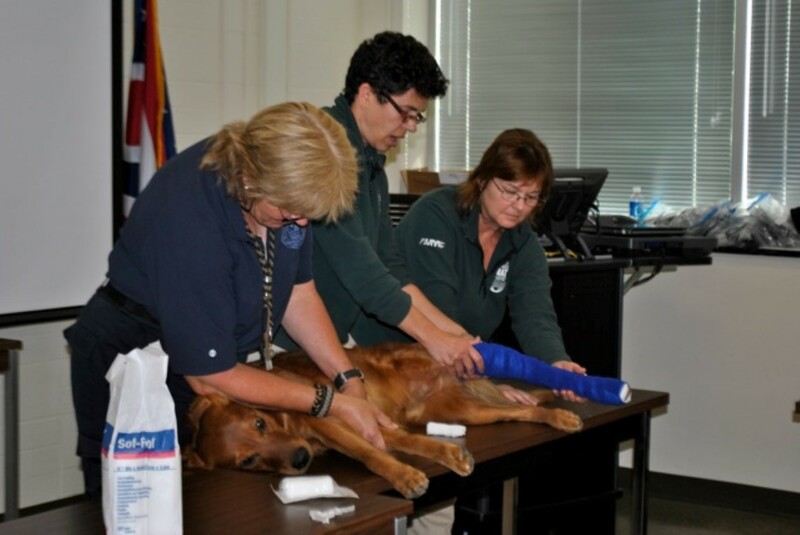 This K9 First Aid class is taught by leading working dog veterinarians and will be a two-day seminar which will include both lecture and hands on practice with your own canine partner. The course will focus on the assessment and stabilization of common conditions that can affect working dogs as well as important preventive measures. Those who do not have a dog will also have the opportunity for hands on practice and are encouraged to attend. Effective 1/11/19 all dogs must comply with the Vaccination Policy.